SNA-WI is THE annual event for school nutrition professionals to attend! 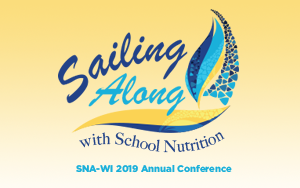 From Nutrition, Operations, Administration to Communications & Marketing information,the SNA-WI Annual Conference offers attendees a range of educational sessions to meet their needs. Click here for the full conference program! Craig Weidel, SNS, MHt, MNLP - click here for a special invitation and message from Craig! A proven professional, Craig Weidel has LIVED in and WORKED in the real world of child nutrition for 30+ years. 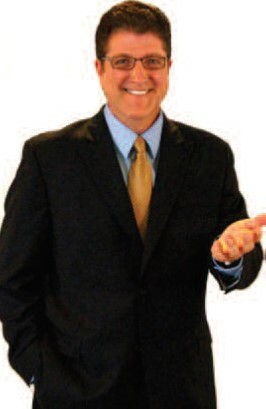 Craig is a graduate of Arizona State University with a degree in physical education. He has served two terms on the Board of Directors for the School Nutrition Association. Craig is also certified as a Master Neuro-Linguistic Practitioner, Master Hypnotherapist and holds a credential as a School Nutrition Specialist. He is also the coveted winner of the F.A.M.E. (Foodservice Achievement Management Excellence) 2012, Silver Spirit Award. Craig leads professional associations, school based child nutrition professionals, companies and individuals to achieve remarkable transformations which in turn skyrocket their productivity and increase profits. He is also the best-selling author of ‘My Heroes Have Always Worn Hairnets’, and has made numerous appearances on National Television and radio. JoAnne Robinett, a School Nutrition Specialist, is nationally known as a leader in the field of school nutrition. Her school food service spans 30 years in many different capacities – starting her career as a two-hour dishwasher. Retired from day-to-day supervision; her award winning programs were recognized as “Excellent” and “Stellar”. Currently, she is owner of “America’s Meal”, a school meal consulting and training firm. 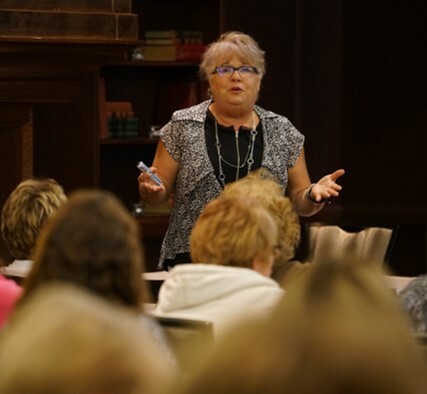 An active participant with the School Nutrition Association; she has presented training sessions and conference keynotes in well over two dozen states for audiences of business officials, child nutrition professionals, and industry partners. She seems to make a unique connection with the staff that directly feeds the kids – maybe because that is where she fell in love with this field. An advocate of lifelong learning, JoAnne received two college degrees (and did some doctoral work) AFTER she started working in Child Nutrition. JoAnne has been quoted in USA Today, Parenting Magazine, and The Boston Globe. Her articles have been featured in many state association publications, in Great Possibilities, and in School Nutrition, SNA’s flagship publication. A block of rooms has been reserved at the Hyatt on Main at a special group rate of $129. To guarantee this rate, Reservations must be made by May 31, 2019. To make reservations, call the Hyatt on Main at 888-421-1442 or 920-432-1234 and request the School Nutrition Assn of WI. You must furnish documentation at check-in when registering for tax exemption.